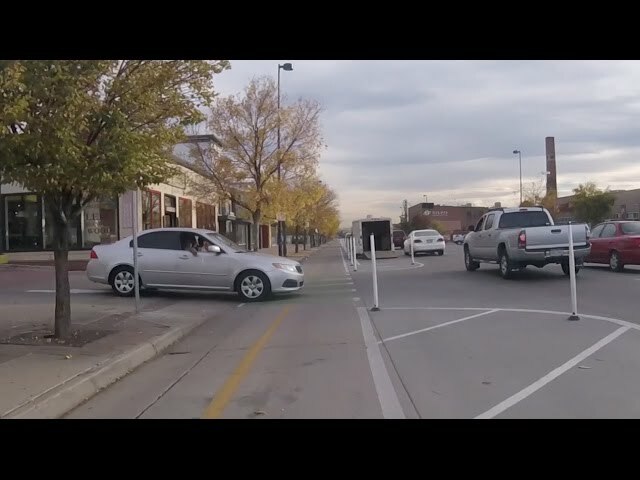 Denver will keep the Broadway bike lanes open for another year - Denverite, the Denver site! Dec. 14, 2016, 7:26 a.m.
A two-way protected bike lane on South Broadway has passed its first test. In its first three months of operation, the prototype bikeway has significantly reduced the number of cyclists on sidewalks and in regular road lanes. The city now has decided to keep the lanes open through the end of 2017. About 62 percent of people who responded to an online survey like the lanes and want them expanded into downtown. However, the city also has addressed some concerns by reinstalling several parkings spots that had been removed. The bikeway runs from Bayaud to Virginia avenues, replacing a lane of traffic and bumping parking away from the curb. The city will evaluate the project again in February and at the end of 2017.